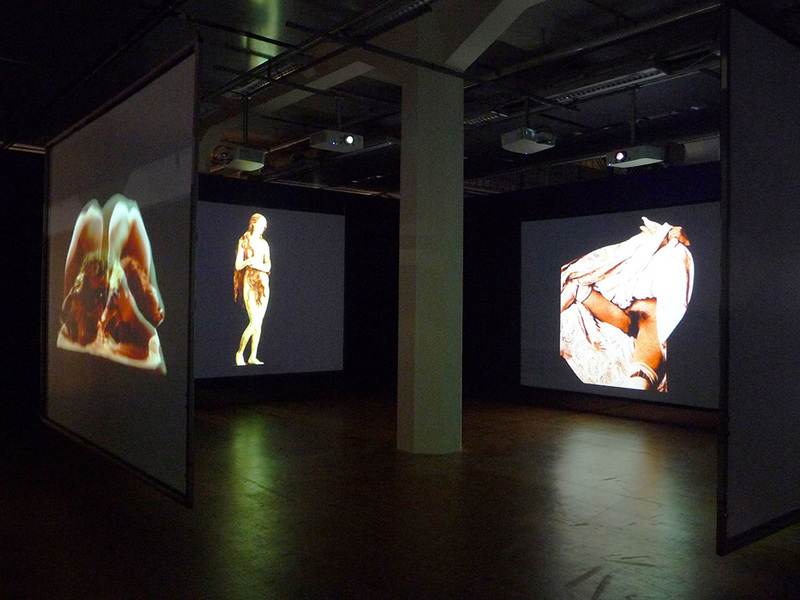 Jean-Jacques Lebel’s 2007 video-installation on four large screens in open cube formation, Les Avatars de Vénus (Venus Avatars), deals both head-on and ironically with a serious issue that will only upset idiots: Is woman a form? For a long time, anthropologists have touched upon this question from the standpoint of what constitutes, in woman, the trigger of sexual desire, by pointing to the shape of the bottom and, secondarily, to the outline of the bosom. Already, with their invention of that charming and provocative form of the female cartoon character Betty Boop, the masters of satire Max and Dave Fleischer had responded. And from time immemorial, was the “female form” not always topical? Lebel’s film offers us a magisterial and jubilatory compendium of such forms. Yet it does so in an unassuming way. And from wink to nudge, it tells us lots more. Through different styles of representation, various means of expression and varying degrees of inspiration, woman qua woman endures. Jean-Jacques Lebel soon made, in New York, three decisive encounters: Billie Holiday, Marcel Duchamp and André Breton. His first exhibition took place in Florence, in 1955, at the Galleria Numero. After a turbulent period with the Surrealists, he exhibited in Milan thanks to Arturo Schwarz, then Iris Clert and Simone Collinet in Paris, and in a large number of museums and galleries worldwide. 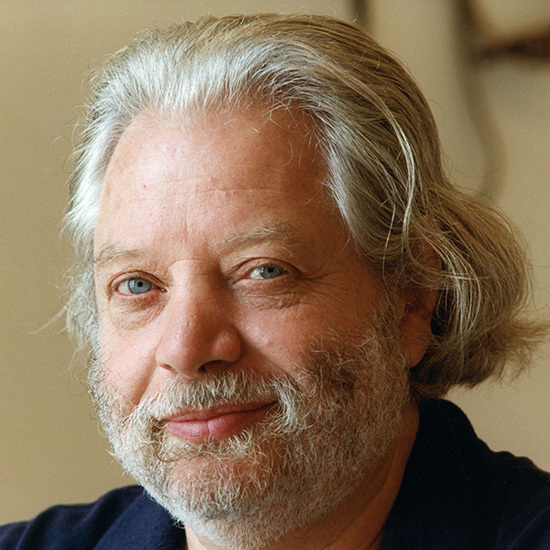 In 1960, in Venice, Jean-Jacques Lebel was the author of the first European happening, and published the first critical essay in French on the happenings movement. From that point on he produced over seventy happenings, performances and actions, on several continents, alongside his pictorial, poetic and radical political activities. In 1960 and 1961, in Paris, Venice and Milan, he co-organised the Anti-Procès, an itinerant international event and exhibition, bringing together a good sixty artists who adopted a protest position against the Algerian War and against torture of political prisoners. In 1964, he set up the Festival de la Libre Expression, then in 1979 the Festival international Polyphonix which is open to artists, poets, filmmakers and musicians from several dozen of countries. His work has recently been the subject of retrospectives at the Musée d’Art Moderne de Saint-Etienne (2012), the Mamco in Geneva (2013) or the ZKM in Karlsruhe (2014), Musée National d’Art Moderne, Centre Pompidou (2018). His works are in many museums, including the Musée National d’Art Moderne, Centre Pompidou; the Musée d’Art Moderne de la Ville de Paris; the Galleria Nazionale d’Arte Moderna, Rome; the Ludwig Múzeum, Budapest; the Israel Museum, Jerusalem (Arturo Schwarz collection); the Museo Vostell de Malpartida, the Museu Colecção Berardo, Lisbon; the MACBA, Barcelona; the Musée des Beaux-Arts, Montreal; The N.Y.U. Grey Art Gallery, New York; and the Musée des Beaux-Arts de Nantes, etc.